Now, more than ever before, technicians and project managers who work for NDT service companies in the oil and gas industry are facing unprecedented challenges as they work with pipeline owners to carry out pipeline integrity assessments. To start, citizens, regulatory bodies, and advocacy groups are demanding that pipeline owners guarantee pipeline integrity for both people and the environment. Media coverage continues to run rampant on how many cities, towns and political parties are deeply concerned of what impact pipelines have in their communities. The pressure is indeed on for pipeline owners—and the NDT service companies they employ—to monitor and repair aging infrastructure as well as ensure that new pipeline installations adhere to the strictest of safety standards. new full-pipe joint assessment solution! Another challenge for NDT service companies that carry out pipeline assessments is the sheer difficulty in managing human resources and the tools technicians use to perform their inspections. For one, in today’s labor crunch, the number of qualified NDT inspection technicians is not keeping up with demand. Highly experienced NDT inspectors command high salaries, which may not always be viable for smaller NDT firm. In turn, this forces NDT service companies to hire junior technicians or even have other team members assist in conduction the assessments. Onboarding is crucial, yet already time-strapped NDT service companies don’t necessarily have the luxury to spend adequate time training NDT inspection personnel. Furthermore, traditional pipeline measurement methods, for example, using a pit gauge, is largely dependent on technician skill levels, generates variable results, entails a long, drawn-out inspection process with a high number of data points and has limitations with respect to reporting quality. Ultrasonic methods, also used in the past, required a high level of complexity and did not afford the portability, accuracy, and repeatability in the harsh environments pipelines are often found in. As a result, traditional pipeline inspections can take days—and even weeks in the case of full-length pipeline inspections. This is far from ideal for both NDT service companies and their pipeline owner clients. In sum, there are a lot of issues that keep engineers and project managers up at night regarding their pipeline inspections. 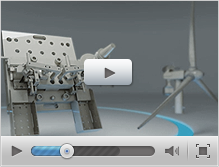 Is there an affordable, easy-to-use solution that produces highly accurate and repeatable results in no time flat? And how can managers be sure they are getting the right data to make the right diagnosis and provide the right recommendations to their clients? A new era in NDT pipeline inspections has begun. 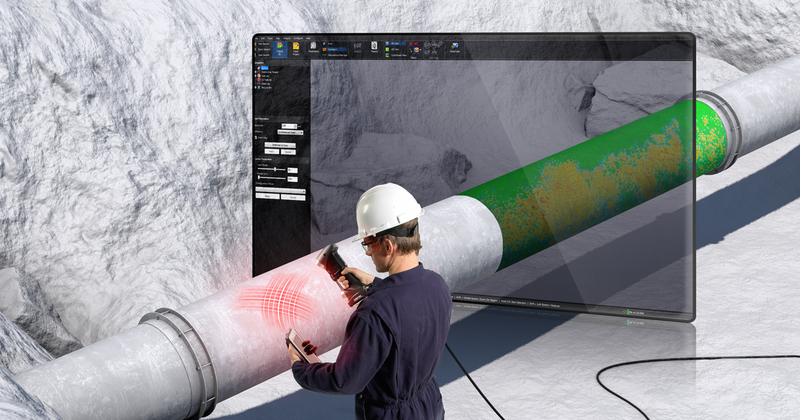 Creaform’s NDT 3D technology solution, which includes a portable 3D scanner and Pipecheck™ software, just got a major upgrade that addresses the spectrum of challenges NDT and project managers grapple with day in and day out. Pipecheck has long been the most sophisticated NDT software on the market for pipeline integrity assessments, allowing on-site inspection, detection, and characterization of internal and external pipe defects, including corrosion and mechanical damages. However, version 5.0 has just been released with features that are about to facilitate pipeline surface inspections like never before. 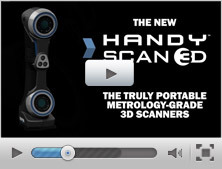 First, Pipecheck 5.0 now offers the capability to scan full pipe joints of up to 60 ft long. Before, only a few companies had proprietary solutions that could take on such big jobs. But now, Pipecheck 5.0 has leveled the NDT pipeline inspection field, allowing NDT service companies of all sizes to cater to the needs of long-haul pipeline companies and open new markets that were unattainable until now. What’s more: Just because Pipecheck 5.0 can glean more data from longer pipelines does not mean that it will bog down data processing and reporting times. Pipecheck 5.0 is now 6 times faster in terms of analyzing and reporting on critical pipeline failures. 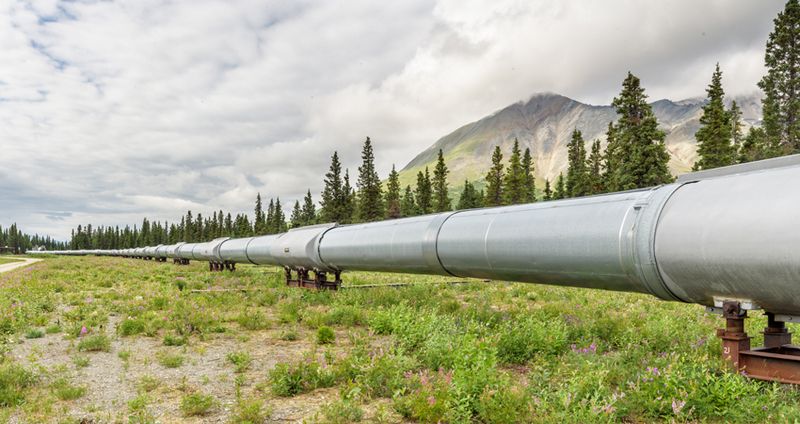 Pipeline inspections that used to take a few days will now only take a few hours, greatly speeding up the entire inspection process without sacrificing accuracy and repeatability. With faster inspection times, that means that buried pipelines exposed for maintenance can be backfilled and started up again in shorter timeframes than ever before. Inspection data and results are traceable and can be revised with new inspection parameters without leaving the inspection site, which limits expensive repeat truck rolls and unnecessary manpower. Pipecheck is B31G code-compliant, which is typical for North American pipeline integrity assessments. However, because the solution is used internationally as well as for pressure vessels, users can configure Pipecheck to display—or not—B31G compliance. For NDT service companies outside of North America, this feature can help to make the software’s interface and reporting easier to understand and manage. new full pipe joint assessment solution? The interface of Pipecheck 5.0 has also been drastically improved for NDT technicians of all skill levels to conduct and generate pipeline inspections. No lengthy training session required. Users can more easily and quickly view all damages on pipes so that they spend more time providing thorough recommendations to their clients as opposed to double and triple checking that data is accurate and repeatable. 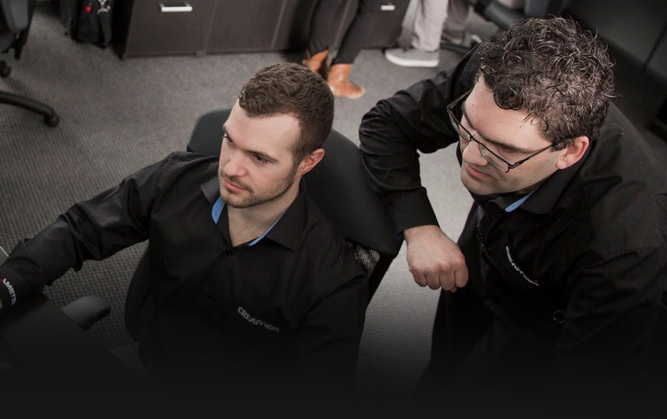 Finally, with increased first-time-right inspection efficiency, NDT service companies can now take on more clients without adding additional staff. Pipecheck 5.0 is a total game changer in the oil and gas industry for pipeline owners looking to prove the safety of their pipelines, properly maintain their infrastructure and keep their costs in check. Meanwhile, NDT service firms now have an even better solution to cater to their existing clients’ need for accuracy, repeatability, and speed as well as open new doors to inspecting full-length pipelines. To learn more about Pipecheck 5.0, book a demo today.